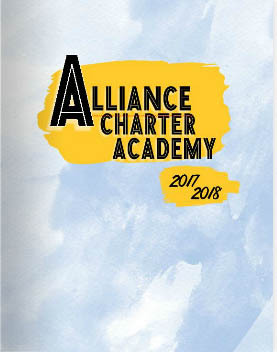 Did you know ACA has a yearbook? Our yearbooks range from twenty three dollars to thirty dollars. When you purchase your yearbooks there are two blank pages for you to design your very own pages to keep those school memories forever. Mr. Lancaster’s class of only a dozen students spend all school year long developing the yearbook. Students from this class spend the first semester taking photos of various classes, learning how to edit their own pictures and learning basic photography skills. These students also get to choose which photos get put into the yearbook and which don’t based off of their section editors’ choice. The section editor is in charge of their own section team. The teams are focused on classes such as math, science, music, ect. To order our school’s yearbook go to treering.com and use the activation code (1014436507022346) and follow the steps. Yearbooks can be ordered anytime, but the customizable pages has to be ordered and complete by June 21. Books will be delivered to ACA in early August. Previous Previous post: Luke the Ballerino Is Going Cleveland? Support him in this journey!